Join NOW and enjoy NZ's most supported broadband plan. With fibre speeds up to 900/400, you'll be streaming and surfing like there's no tomorrow. With 2 x in-home visits per year, we'll be on-call to sort out any issues with your home tech. Get 10% off NOW smart home products, so you can enjoy whole home Wi-Fi sooner. NZ's first plan that combines the fastest speeds with comprehensive (in-home and over-the-phone) support. Most of us don't have the time or know-how to sort out those little tech issues that crop up every now and then. 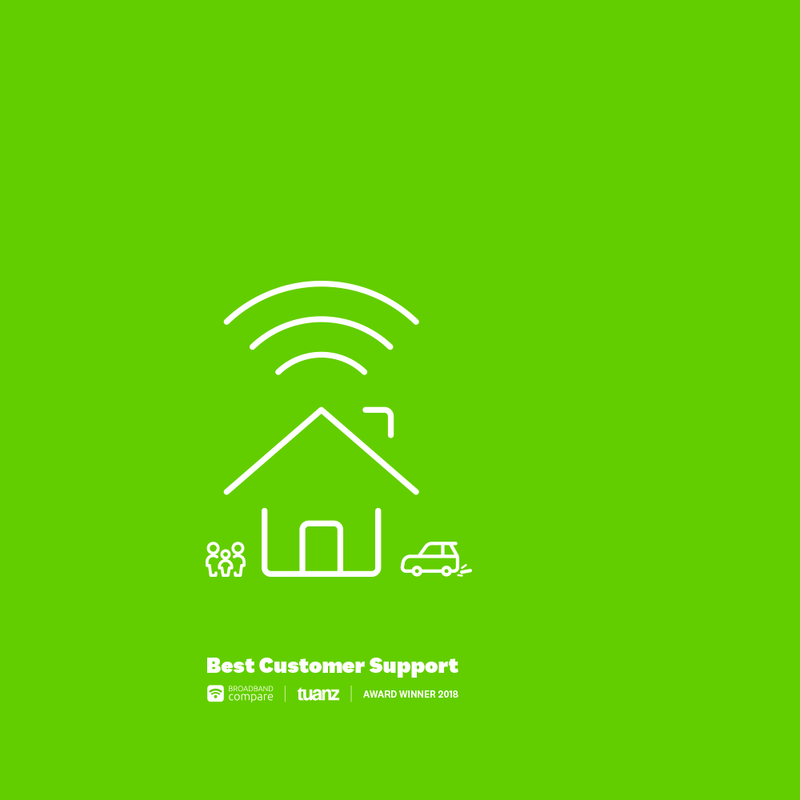 That's why we've built in-home tech support into our plan - giving you the help you need when you need it. Epic Unlimited provides the freedom to enjoy everything the internet enables, knowing you have the fastest speeds supported by local, award-winning service, so you can enjoy it worry-free. Free your home of internet frustration. Our Epic unlimited plan comes with 2 in-home tech visits per year. So, if a tech issue crops up our Techsperts will come to your place and fix it. When your internet is slower than you'd expect or buffering is ruining the latest Netflix episode, you can get someone out to your place to fix it (for no extra charge). Leaving you more time to enjoy the things that matter. Fibre 900/400 is the fastest broadband available to most Kiwi homes. How fast? Try up to 45x faster than standard ADSL. Or 150 Netflix streams, at the same time, in HD. Epic speeds will keep the whole family, flat or squad happy.